Director Debra Granik thinks the American mainstream focuses too much on commercialism and celebrity culture. So she tells the stories of people living on the margins. 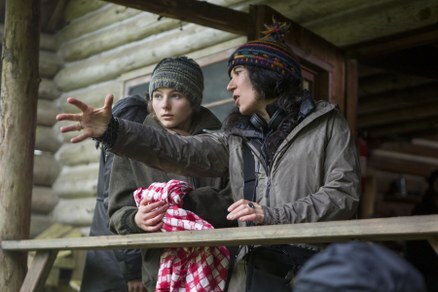 Her latest film, “Leave No Trace,” is about a veteran raising his daughter off the grid in the woods in Oregon -- until they’re discovered. Thomasin Harcourt McKenzie and Ben Foster in "Leave No Trace."